Rutty and tough track, the old High Point is barely recognizable nowadays and not all the changes are good in my opinion. What did you think of the track that you were at for the first time in seven years and one you won twice at? You’re right, the track looks nothing like it used to be. 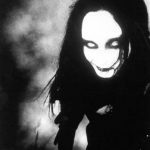 The older I get the less I like change though so it’s difficult to be unbiased when it comes to remodeled tracks. I think the new start is better now. It’s a little more fair than it used to be. They left the rollers after the start, which is something very specific of High Point. That’s also a good thing. After seeing the day of racing on Saturday, I thought the track was a bit tough to pass on and the way the layout is now, it gets one lined quick. If you look at the layout, it has a lot of curves and sweepers that narrows the track a lot. Some sections are also way faster than it used to be. I’m sure they have their reasons why they took out Bradshaw Blvd, the cool triple that was next the old starting line and the drop off in the trees with the sketchy off camber leading into Bradshaw Blvd. I think we had some good racing so the track is working in a way but the nostalgic side of me wishes it was more like it was 15 years ago. Your rider Dylan Ferrandis came back and did pretty well. Just missed the podium with 8-3 finishes- thoughts on that? I thought 4th overall was a good finish for his first MX race of the season. He hasn’t raced MX since Budds Creek last season where he broke his navicular. He also hasn’t raced since the 3rd East Coast SX race in Atlanta where he broke his arm, jaw and teeth. It goes without saying that he’s lacking in the racing department. That’s something difficult to work on during the week. He started riding the Monday after Hangtown. That’s actually not too long ago. Since then, there was a lot of testing with the chassis. As for engines, all the riders are using the same set-up and the bikes are great in that department. As for suspension, Euros are used to a different philosophy in suspensions and they have a hard time using the same set-up as the American riders. We’ve spent most of our time getting him comfortable on his bike. He has still testing Tuesday before High Point. His best set-up was found that day at the end of the day. He only rode that set-up on press day Friday. That’s not a lot of time to get used to it and in the same time, go race for the first time in 3 months. I still think it was a bit early to get back to racing as he only did maybe 5 motos before his first race. Not enough in my opinion. But, he decided to race High Point and those circumstances don’t matter anymore. When you line up behind a gate when you’re a rider of his caliber, it’s to win, no matter the preparation. He had a horrible start in moto 1. He was outside the top 20 in the first lap. He passed a lot of guys without taking too many chances. He ended the race very strong by being the fastest guy on the track with 3-4 laps to go. That’s encouraging fitness-wise. He was only 3 seconds off 4th place at the end but finished 8th. He had a better start in moto 2. He got to 4th around halfway and then, J-Mart’s bike gave up so he moved to 3rd. 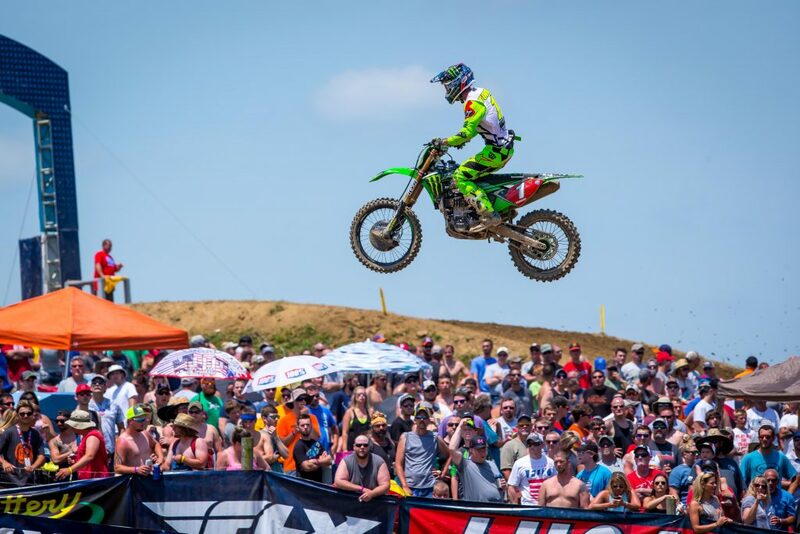 He was behind Forkner for the second half of the race. I feel he was faster but couldn’t make the pass. I believe if he would’ve given Aaron a run for his money for the win. For a first race, I’m satisfied and I actually told him during the week that a top 5 overall would be ok. He got 4th. But, when I see both motos, his form, the competition and the circumstances of the races, I thought there was room to do better. He knows that too and it’s encouraging for the rest of the season. He clocked some great lap times at the end of both motos so his conditioning is pretty good even if I think he can be better prepared. Now he knows where he’s at. We’re gonna keep working and try to get better every week. I think he can win his first overall this season. How much fun was that to watch Marvin and Eli go at it in the second moto? 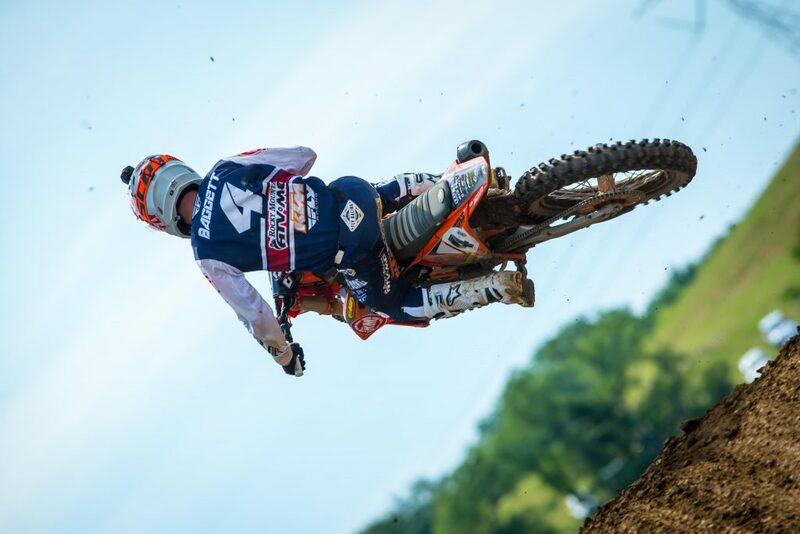 What did you see that enabled ET to stay ahead of Musquin? 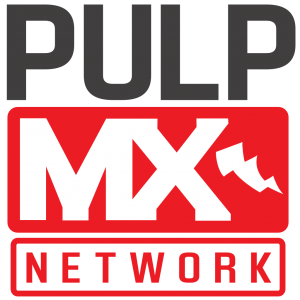 How did Musquin reel Tomac in that first moto and pass him? I think Eli following and seeing Marvin’s lines after he got passed in moto 1 was a big factor in Moto 2. In the first race, Tomac was good but not smooth enough because his lines weren’t great. He was riding a bit too aggressive on a track where you have to keep your momentum and your balance in the long ruts. It looked to me like he had a pant malfunction too, not sure if that affected him a lot or not. 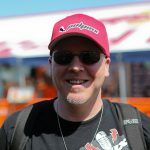 (Ed note: Tomac said it didn’t). Marvin had better lines in the first moto. His momentum was great. He didn’t look super impressive but was very efficient. You almost have to look slow on that track to be efficient. I really liked the commitment Marvin had this weekend. I’ve been waiting to see him give all he has instead of preserving himself and ride cautious. When your goal is to beat one of the best outdoor riders ever, you can’t do so by riding in your comfort zone with a big margin of safety. You gotta go for it and grind for 2 times 30+2. Musquin’s state of mind was way better Saturday that what he showed us since Hangtown. I’ve heard and saw KTM testing a lot with Ryan Morais in SoCal. Marvin mentioned he felt better with his new set-up and it showed. As for the second moto, it was just an amazing race. Those 2 went at it like we’d love to see at every round. Eli learned quick between the motos on what to change in his riding to win the moto. His lines were much better and his quality of riding too. That was the only way to do it to beat Marvin who beat him fair and square in the first moto. Those guys were on another planet Saturday and the show they gave us in the last few laps of the day was unbelievable! Now, I’m gonna pray everyday that nothing happen to one of them. The series would become so boring! Blake Baggett gets the RC Hard Charger award for his rides in both motos. That was pretty good. I didn’t see the second moto other than the last few laps. I saw he crashed on the start in the first moto, Roczen was also in the first turn pile-up. Coming back in 5th after a first turn crash is a great performance. It’s not like the 450 field is super deep these days but you still have to go to work if you wanna get a top 5 after a first lap crash. It has to be frustrating for him because he was flying in practice. Blake is a MX specialist and I’m not surprised to see him do what he does. But, he’s gonna have to go mix it up with Marv and Eli. He has the potential for, he showed us in Lakewood last year with an all star performance. He has the potential to ride with the guys up front but he will have to as least start with them. Seems like it. He did good on it in SX and he’s going also great for his first ever 450 National. Like I said above, the field isn’t super strong these days but it doesn’t take away from his performance. Since he’s moving up next season in SX, I was surprised to see him start the season on a 250, especially because he was riding the 450 well in SX on the opposite coast. He’s going to get more comfortable on the bike and will have more experience on it before racing it full time in 2019. That’s a good strategy. As quiet as one could be in going 1-1, Aaron Plessinger took the red plate back- what did you see? 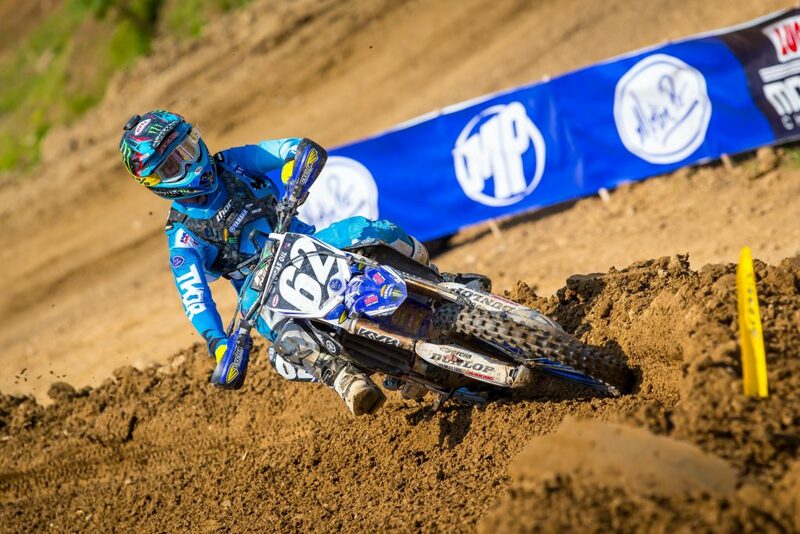 Aaron is known to ride ruts well so High Point has to be a track that suits him good. He made life easier for himself by getting a great start in moto 1. He led the 18 laps of the race. He looked in control the whole time and checked out early. When J-Mart got to 2nd, Aaron had around a 10 second lead and it never went under 9 seconds. Those 2 guys battled with distance and Aaron never flinched. He was doing cool stuff by playing with braking bumps on the downhill. I thought it was smart to do that. I was next to the last downhill of the track. It was super rough for first moto but he jumped over big breaking bumps. Others weren’t doing it. Those actions are super impressive. J-Mart was trying to catch up but could never get close. Moto 2 was a bit different, start wasn’t as good even if he was 5th on the first lap and J-Mart showed up ready to get some points back. It would’ve been tough for Plessigner to catch the younger Martin brother. The roles were inverted compared to the first moto. 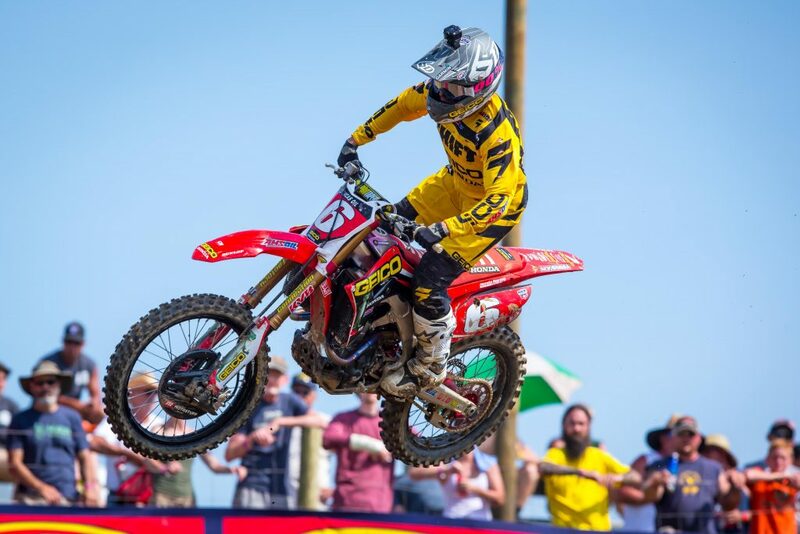 I can’t tell you if Aaron would’ve won the moto if J-Mart didn’t DNF. The Yamaha rider capitalizes on the Honda misfortune and we have a new red plate holder. Since Osborne is out, the championship will be between those 2. Tracks coming up like Southwick and Red Bud suit Jeremy better in my opinion so it might put some more spice in this battle of the red plate. 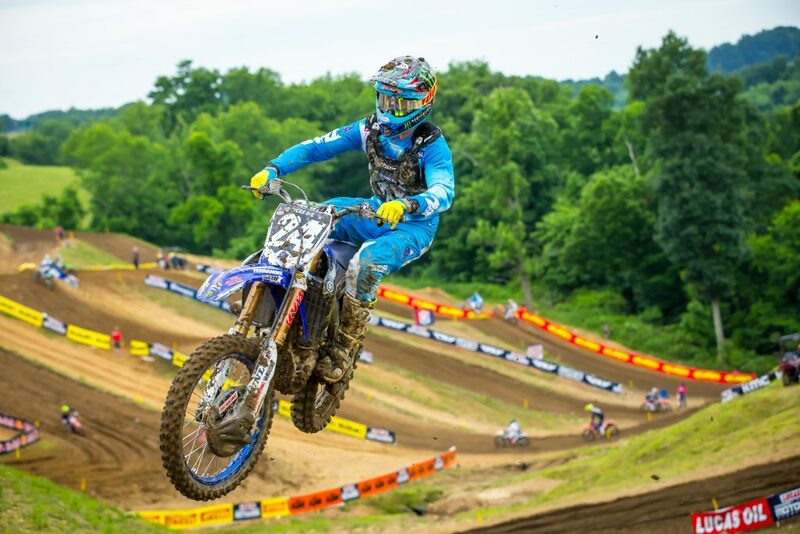 Justin Cooper, wow- this kid can start and he’s the real deal. Thoughts on him? Justin is a good starter and those Yamis have the start figured out (except my guy yet). I see him ride and train during the week. I don’t really know him more than that. He’s putting a lot of effort and dedication in this. There’s no secret, if you want to score top 3s in the Nationals, you have to be a pretty good rider. He’s another one who makes his life easy with good starts. Justin is still young and it shows on the track. He made a few mistakes here and there but I like the fact he goes for it. He’s not scared to start in front. Kids like that have a lot to prove. He was a top amateur prospect, he’s got a championship winning team, he has to perform. If he doesn’t, he won’t get re-signed, will have to settle with a b or c rated team for when his deal is over. There aren’t too many options, when you blow a factory ride. If he continues like that, he will improve fast and won’t have to settle for a lesser team/bike… And I love to see kids mix it up with the veterans of the class.